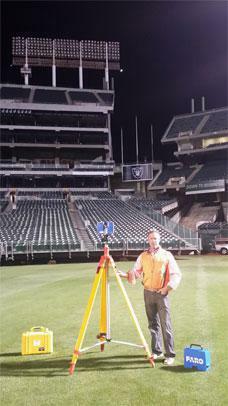 Meridian Surveying is an HD-3D Laser Scanning Surveyor. 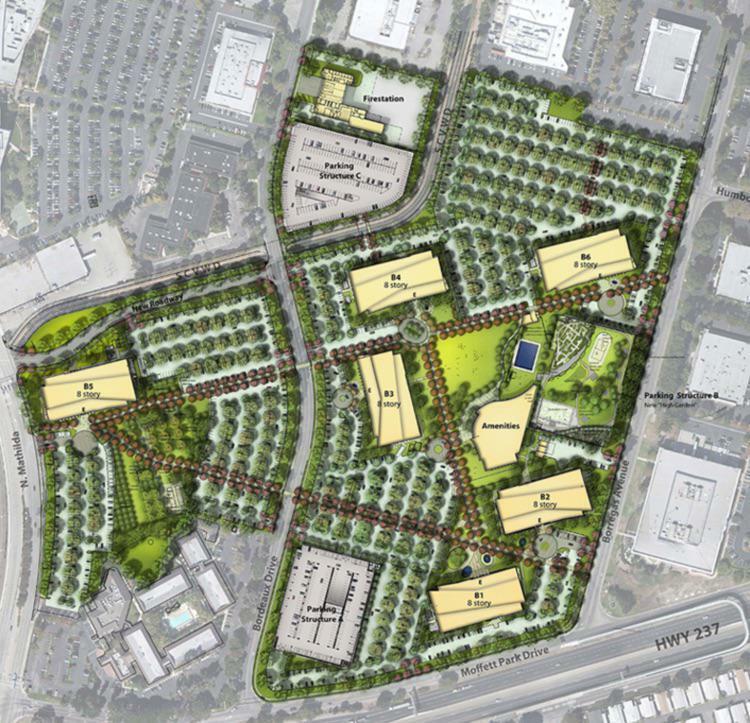 If your project calls for a licensed land surveyor to assist as an HD-3D Laser Scanning Surveyor, please call us (800) 515-6674 8:00am-5:00pm PST Monday-Friday or fill out the form below and we will be in touch promptly. 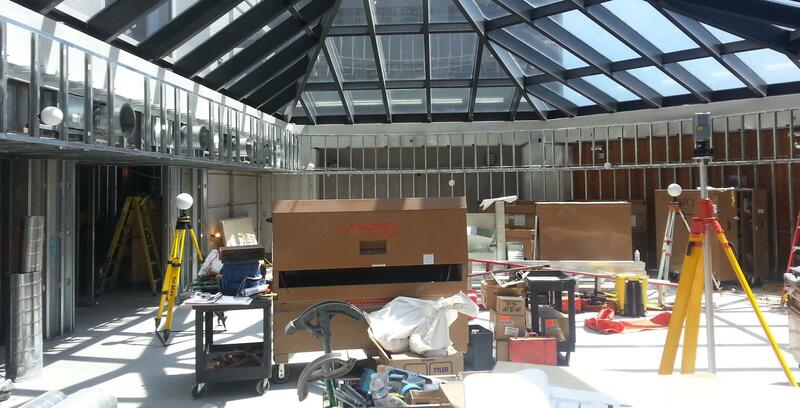 The MERIDIAN team provides Spatial Imaging using 3D Scanning to assist in Building Information Modeling (BIM). 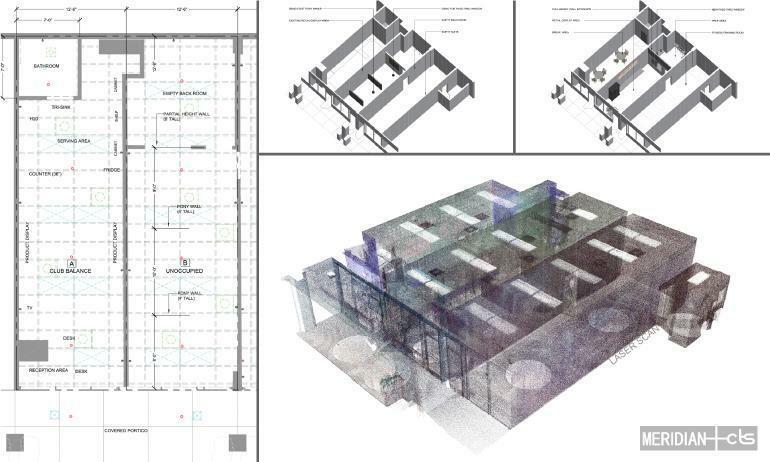 BIM (Building Information Modeling) is based on survey grade High Definition 3D laser scanning. 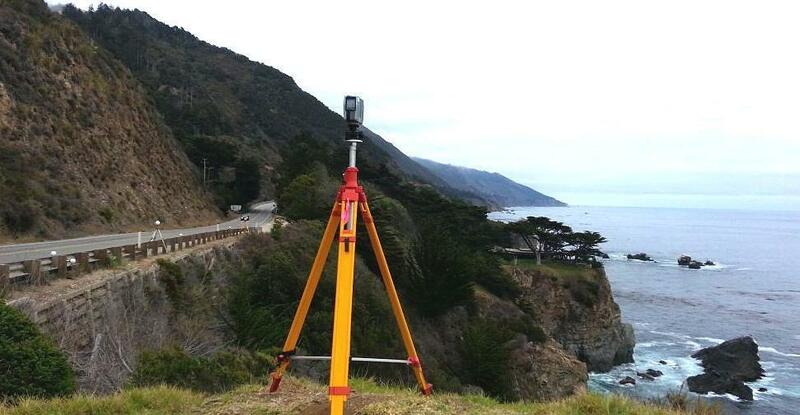 True 3D data captured by Land Surveyors saves time & money for our clients in Oakland, San Francisco, Modesto, Sacramento and throughout California. Why Use a Licensed Surveyor to Scan? Survey grade accurate scanning control is critical to your project. We can link boundary and other data to the 3d scan, including hydrographic data. We can testify as an expert for accident scenes and view corridor issues. Building Information Modeling (BIM) is the process of generating and managing building data. 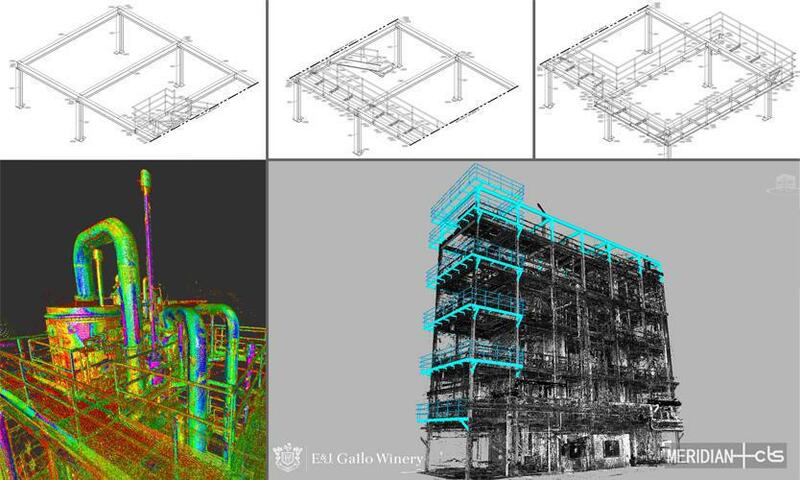 It uses three-dimensional (3d Laser Scanning), real-time, dynamic building modeling software (and a database) to increase productivity in building design and construction. The process produces the BIM, which encompasses building geometry, spatial relationships, geographic information, and quantities and properties of building components. BIM can be used to demonstrate the entire building life cycle, including the processes of construction and facility operation and provides a way to work concurrently on most aspects of building life cycle processes. Our HD-3D Surveying Team provides on-call services for applications such as Deformation Monitoring, Commercial Projects & Historical documentation. Spatial imaging with 3D scanning can be applied to unsafe areas such as active roadways or inaccessible structures like bridges with a high degree of accuracy. Provides more accurate and more detailed As-Built Drawings over information obtained from manual measurements and outdated or incomplete previous As-Built Drawings. Accurate As-Built Drawings translate directly into reduced project costs through the reduction of construction reworks and construction delays. Prevents schedule delays by reducing data collection time for obtaining As-Built information. Reduces facility downtime as a result of the unobtrusive data capture and reduced field construction time. 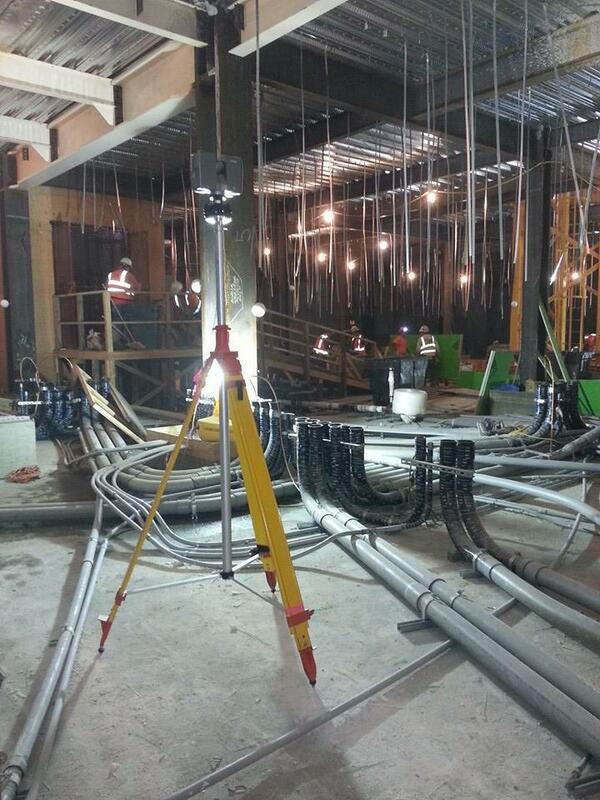 As-Built Surveys of complex facilities such as processing plants. Surveying of busy street intersections - eliminates need for traffic control. The raw scanner data, or 3D point cloud, can be used with software to view, pan, zoom, and rotate in 3D and obtain instant point to point measurements from. With additional post-processing and laser scanning services, the raw data can be translated into accurate 2D or 3D AutoCAD drawings to be utilized for 3D visual walk-throughs and 2D or 3D design, and can even be rendered further into a full 3D solid model. 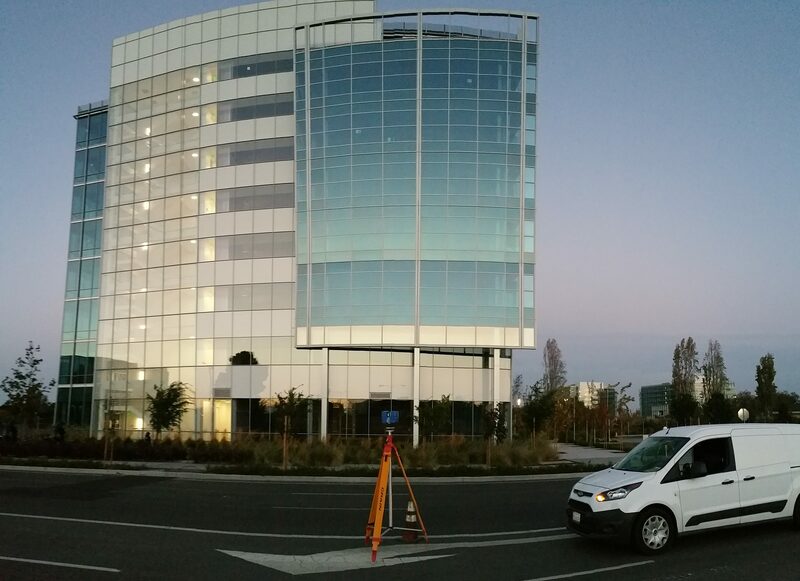 Meridian Surveying performed HD 3D Scanning and Modeling of Moffatt Place an 865,000.00 sq ft interior / exterior of three story Google Plex buildings. Professional HD-3D Laser Scanning surveyor serving customers since 1989. Meridian Surveying specializes in, HD 3D Scanning – Terrestrial Lidar, Survey Control for HD 3D Scanning, 3d Modeling as well as Floor flatness surveys. We also verify concrete conditions, new pours and existing slabs. Our 3D laser scanning tools can help save time and money, help you mitigate risks, and pass FF/FL inspection for every concrete project. FARO and Rithm have developed the most powerful workflow in the industry to verify concrete conditions, for both new pours and existing slabs. 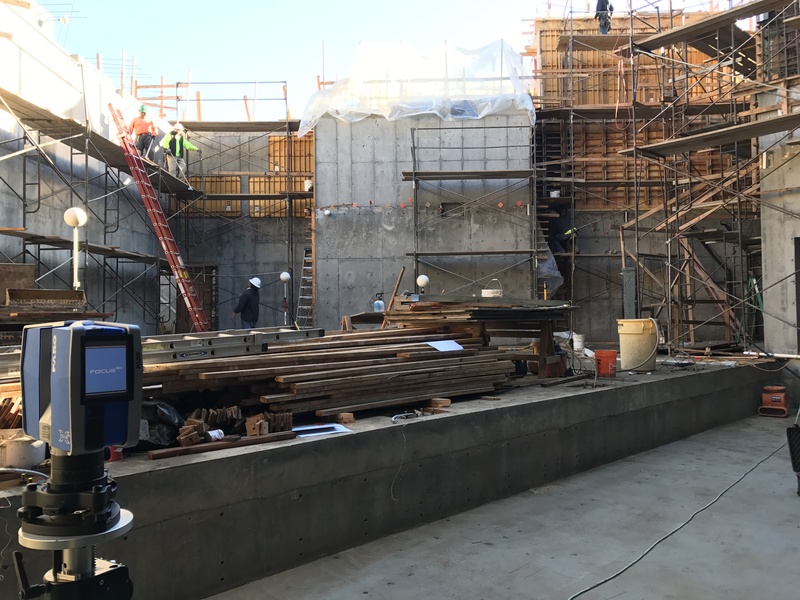 By leveraging the power and speed of the FARO Focus 3D Laser Scanner, crews can verify ASTM 1155 FF/FL numbers on wet or dry concrete! From Scan to ASTM 1155 standardization in as little as 7 minutes. Wow. Excellent HD 3D scanning can help you monitor changes in concrete at key milestones during the project and be incredibly helpful to ensure the success of your project.